As a new year begins, resolve to stay healthy. Learn which appointments you should schedule now for you and your whole family. This year, don't let essential doctor's appointments creep up on you. Schedule important appointments for yourself and your family now. Find out what appointments you should schedule for a whole year of health maintenance. Kids and adults should visit the dentist at least twice a year for a full checkup and a cleaning. 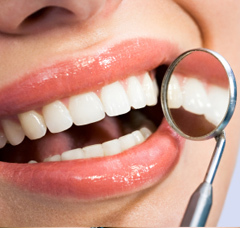 If you have gum disease or other dental issues, your dentist may recommend visiting more often. Consider booking appointments for your children to have preventive sealants placed on their molars to reduce the risk of cavities. Have you been putting off major dental work? Now is the time to schedule an appointment with an oral surgeon or specialist so you can check that off your list. Schedule a yearly physical for yourself. Ask your partner to do the same. Many adults don't realize that it's important to check in with a general practitioner once a year. As you age, it becomes more important to monitor issues like blood pressure and cholesterol. If you haven't had a full workup of blood work done in a while, ask your doctor if it's a good time to check you out. Schedule your child's well visit and vaccination appointments at this time. Keep in mind sports participation and other activities may require paperwork from your child's doctor. Specialists are often booked up, so call in January for all of your annual appointments. Every adult in your family should see the dermatologist at least once a year to have moles and suspicious skin discolorations checked out. If you've had a problem mole removed in the past, your dermatologist may recommend going twice a year. Schedule any allergist appointments you or your children need during the year. Many allergists prefer to see patients at the height of allergy season in the spring and fall. If you or your children wear corrective lenses or glasses, schedule your yearly eye doctor appointments. Specialists are often booked up, so call in January for all of your annual appointments. Every woman should have a pap smear done at least once a year. If you have HPV, you should be checked out twice a year. Depending on your age, you may need to schedule a mammogram as well. If you've never had a mammogram, ask your doctor when you should begin having this important screening. At your annual well woman visit, remember to talk to your doctor about issues like perimenopause and emotional health.